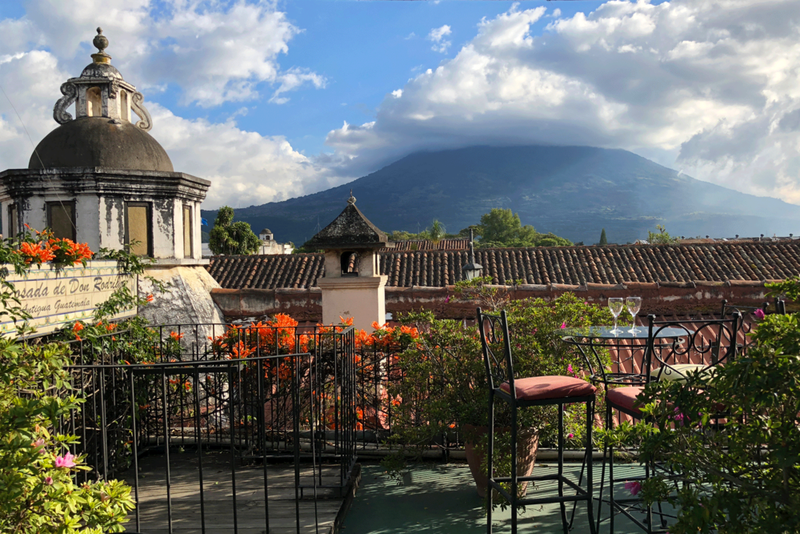 I’m here capturing another amazing Ker & Downey adventure and have been testing the iPhone X along the way. Although I just conducted my iPhone 8 Plus Camera Review in India recently, I wanted to get out and capture the unique aspects of the iPhone X. This is a big year: an entirely new body, a new screen, a better 2x lens. There are a lot of changes. Best new camera feature? Size. The iPhone X just feels right. I’ve used the Plus for the last four models because I like the functionality of the bigger screen and the extra battery life. It’s great for shooting, it’s great for emailing, and it’s great for sharing images. However, I’ve always found it a bit unwieldy. It's tough to operate with one hand, sometimes a little tight in my pocket, and less discreet when shooting. The trade-offs have been worth it, but I’ve always wished it was a bit smaller. The iPhone X answers that wish. When holding the iPhone X, especially without the case, something about it reminds me of the original iPhone. It’s a bit larger, but its shape and presence in the hand harkens back to the early days, and I really like it. The diagonal measurement of the iPhone X screen is 5.8" while the iPhone 8 Plus is 5.5" — however, the physical dimensions of the iPhone X are barely larger than the iPhone 8. With a screen size larger than the 8 Plus (5.8" vs 5.5") but with a body about the size of the 8, the iPhone X meets the best of all worlds. I love shooting with it one-handed — it’s more nimble and discreet, but I can still see the large image while shooting and it’s just beautiful to share images with. Side note: I also find the glass back to be far more tactile/grippy, which contributes to better one-handed shooting. When we got the telephoto lens in the 7 Plus it was a huge upgrade, but the telephoto quality was noticeably less than the wide lens, especially in low light. This created a shooting conundrum. I often wish to zoom in, but I don’t want to sacrifice quality. Apple closed the gap this year by investing heavily into improving the telephoto lens. Shot in Portrait Mode on iPhone X w/ Stage Light Mono effect. Shot in Portrait Mode on iPhone X. The lens specs for the iPhone X are 28mm @ f/1.8 and 52mm @ f/2.4 (previously, the Plus was 56mm at f/2.8.) This little tweak means the lens is half a stop faster and can let light in more quickly in low light scenarios, reducing motion blur and minimizing noise. particularly in lower light scenarios. The iPhone X telephoto lens is now also equipped with Optical Image Stabilization (on the 8 Plus, only the wide lens is stabilized). This means less camera shake and better low light performance as well. The faster telephoto lens affects everything shot in 2x, including time-lapses. I really like to shoot time-lapses that fade from sunset into the night, but they often get unusably noisy toward the end. While shooting with the telephoto lens in other low light settings, I found less noise, faster auto-focus (especially with Portrait Mode), and faster shutter speeds (reducing motion blur). This is probably the most amazing display I’ve ever seen. Colors pop, blacks are truly black, and contrast feels just right. I actually found it more rewarding to shoot and share because of how amazing the screen is. Sometimes it can be challenging to see the iPhone screen while shooting in super bright environments, but I found it much easier to shoot in direct sunlight compared to the iPhone 8 Plus thanks to the brightness and contrast of this screen. The blacks are incredibly black. My default iPhone background is solid black (lock screen and wallpaper), and I notice the blacks of the OLED best on the lock screen. I was on a night flight to Guatemala and I couldn’t stop looking at the blacks. When I compared it side-by-side to iPhone 8 Plus, I found myself double-checking that my background was solid black on the 8 Plus and not a medium gray. It’s that different. One of the most exciting new developments this year is the integration of Dolby Vision across the Apple ecosystem (iPhone 8/8 Plus, iPhone X, iPad Pro, Apple TV 4K). 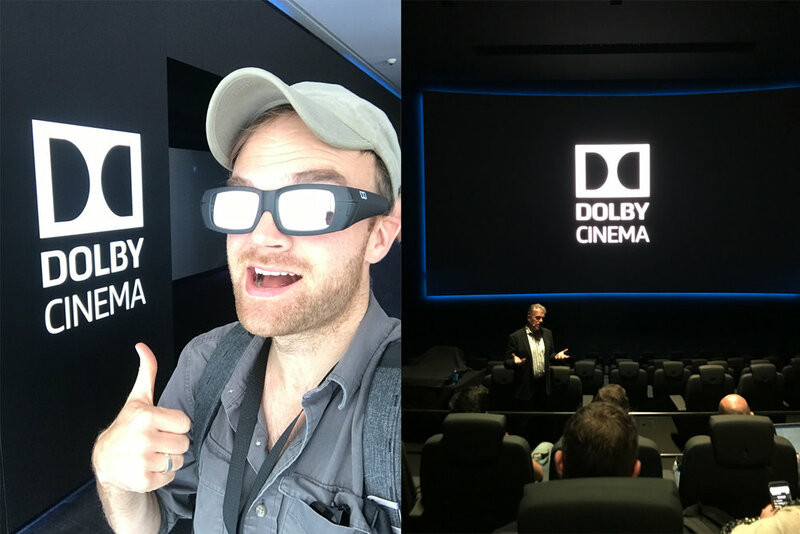 If you aren’t familiar with Dolby, their team is constantly obsessing over the science of sight and sound to create unparalleled experiences. Most of us have seen the Dolby logo at the beginning of feature-length films at the cinema, so seeing this same technology implemented into the device in our pockets is really exciting news. I had a chance to visit Dolby’s San Francisco headquarters earlier this year to experience their entire arsenal of technologies. Dolby Vision uses dynamic metadata to automatically optimize the picture for every screen — frame by frame. This enables artists to stretch the boundaries of what is artistically possible with brighter colors and deeper blacks, while also ensuring their work is rendered in the best way with any given display’s technical capabilities. This is pretty cool when you think about it, and I would love to see Dolby Vision implemented in the iMac Pros and MacBook Pros, too. As creative pros, we’re always looking for more control, and we desire for all viewers to have the most accurate representation as possible. This kind of tech is a step in the right direction to standardizing a viewing experience, even in the palm of your hand. It’s hard to wrap your mind around exactly how it all works, but it doesn’t take a genius to see how jaw-dropping this screen is. You are going to love it. Although the rear and front cameras produce a very similar Portrait Mode look, they use completely different technologies to achieve this. The rear camera uses two lenses to create a depth map (much like our two eyes). This requires more light and uses the telephoto lens, so it’s naturally a tighter field of view (FOV). However, the front-facing camera doesn’t have two lenses, so it uses the TrueDepth camera to create its depth map. This technology is providing its own infrared (invisible) light to map the depth of your face, meaning it needs little if any light to create a depth map for a successful portrait. As you can see in the example, I’m sitting in a near-pitch-black plane and the rear-facing camera (left) wasn’t able to create a depth map at all (because it needs light), but the front-facing camera (right) mapped the depth with infrared light provided, thus not affected by the lack of ambient light. You can also see the FOV/perspective is much tighter on the rear-facing camera and wider on the front-facing camera. Note: Shooting portraits of anyone but yourself with the front-facing camera really isn’t practical, but if you’re like me, you want to understand how your tools work, and once you know how they work you can think creatively about how to use them. When the TrueDepth camera was introduced and it was said it projects invisible infrared light onto your face to authenticate, I began wondering if I could capture this infrared light and create art with it. I’ve heard folks saying they want something new for some time now. After being conditioned to a tick-tock upgrade cycle with a radically new iPhone design every two years, the last four years have felt a little uneventful. The iPhone X is the most radical change we’ve seen since the introduction of the Plus, and maybe ever. But with change comes the need to retrain and relearn. Working without a home button, authorizing through Face ID, and adapting to the notch will take a little bit of time to get used to. My thumb is still subconsciously trying to push the home button every time I use the phone, but ultimately, I find the few days of retraining well worth it. 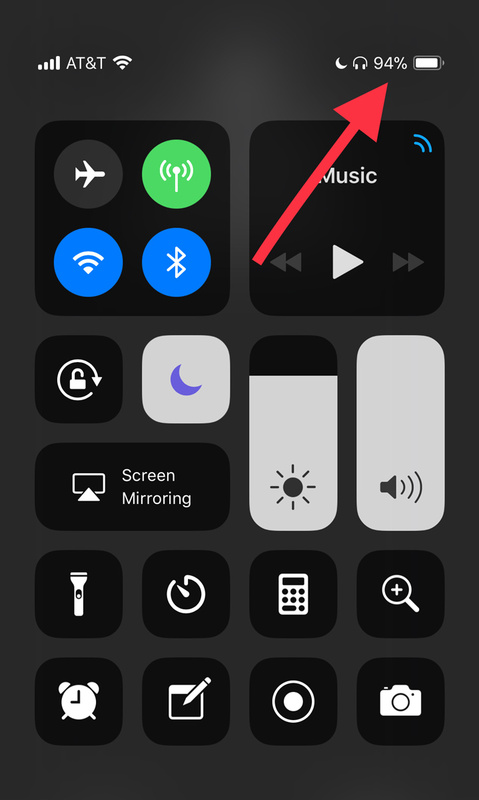 If you are a user who likes the Reachability feature (double tapping the home button to bring the top half of the screen down into the thumb zone), don’t fear, that feature isn’t gone — it’s just different. To use it, double-check the feature is on in Settings > General > Accessibility > Reachability. After it’s on, swipe down at the bottom of the screen and it will pull the top down. Then, to resume regular full screen use, either make a selection or swipe up from the bottom of the screen. I actually find it more natural. It’s almost like you are pulling the top of the screen down to where you can reach it and then flicking it back up when you are done. 2) You can still view your battery percentage. One of the very first things I do when setting up my new iPhone is going to Settings > Battery to turn ON Battery Percentage. I prefer this for personal use, but find the precision essential for professional use. For example, if I’m recording video and my battery is 18%, I’m going to make radically different shooting decisions than if my battery is 6%. Without the the percentage on, both of these look like the same slim red bar of battery life. So when I powered on my iPhone X and went to turn on this feature in settings and didn’t find it, I was pretty miffed. I thought, “surely they’ve just put this feature somewhere else.” I looked and looked and didn’t find it. I can see why they cut it (because the notch eats up the screen real estate needed to display the extra horizontal data) but I couldn’t imagine it’d be gone all together. Finally, the next day I discovered it’s on by default in the Control Center. Now, to check the precise percentage of remaining battery, just swipe down from the top right corner. While I would prefer to have it on all the time, I’m glad it’s not entirely gone. 3) Quickly switch between apps. My favorite new interface trick is swiping across the bottom of the screen to quickly switch between apps. It functions a lot like Command-Tab on your Mac and iPad Pro, and I’m already using it many times a day. It’s useful when switching between camera settings or to switch back and forth between Camera and Notes when making references. 4) Camera button is on the lock screen. We now have a Camera button on the lock screen. (You can also still swipe left to access the camera like before.) It’s a nice shortcut and I’ve used it a couple of times, though I’d love to see this button offer a 3D Touch menu to jump directly to different styles of shooting (photo, video, portrait, etc.). Although I haven’t seen it mentioned anywhere or found anything about it online, the microphone on the iPhone X seems to be substantially better than its predecessors. I reached out to Apple and learned it’s essentially the same hardware, but they did work on tuning the microphone to better capture dynamics. I’m no audio expert, but I can tell you the vocals sound deep, rich, and full instead of thin and hollow. I didn’t get a chance to do a side-by-side of this, but try it out for yourself. It’s pretty cool. 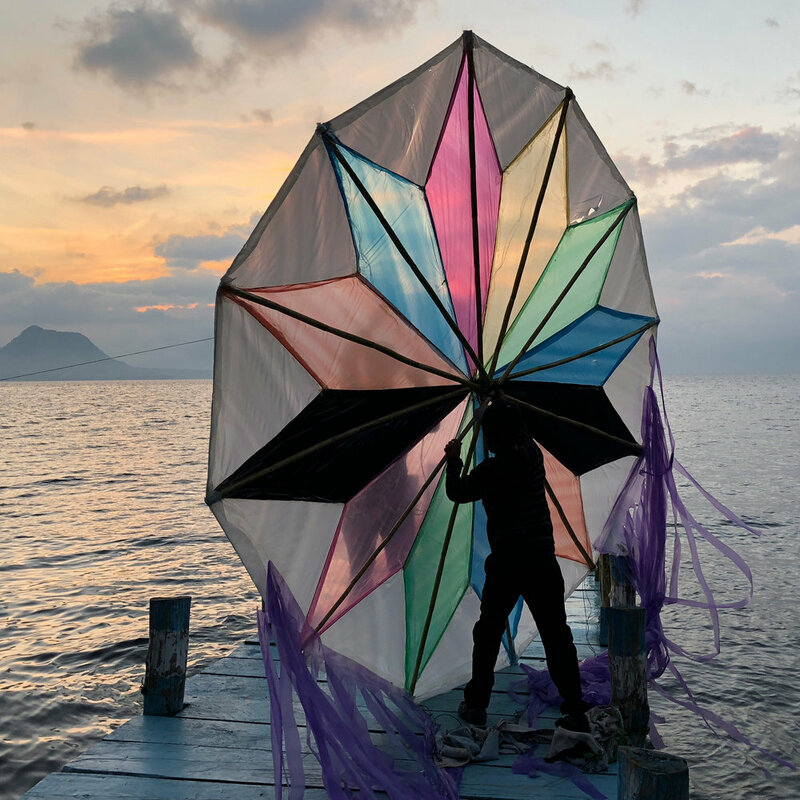 I really like the iPhone X — it’s fresh, it’s fast, it’s beautiful, and it’s really fun to shoot with. I’m still adapting to its new interface, but the size is right, the screen is great for sharing photos, and the improvements to the telephoto lens make it a no-brainer. For me, I think it’s safe to say this upgrade to iPhone X is the most exciting phone upgrade I’ve experienced since switching from my Blackberry 7230 to the original iPhone in 2007. Thanks to my tour operator, Ker & Downey. Their amazing team nailed down every detail behind the scenes to make this project happen. Thanks to my good friend Jordan Bellamy who shot and edited all the video. And special thanks to David and our friends on the ground in Guatemala. This bag has taken off like wildfire because of its radical design and sleek aesthetic. I really dig it. They’re the best balance of quality and size you can buy. Are you pumped about the iPhone X? Have a question? I’d love to hear your thoughts and I’ll be replying to every comment below.